THE INDEPENDENT FEB 2015 - The world’s oceans are being filled with enough plastic waste to thickly line every coastline in the world, according to the first detailed global assessment of the problem. Scientists estimate that about 8 million tons of plastic debris such as food packaging and plastic bottles are being washed into the oceans each year – and the cumulative quantity of waste will result in a tenfold increase in the total amount of plastic in the sea by 2020. The United Nation's sustainability development goals (SDGs) now firmly place blue growth on the 2030 Agenda, beginning with a 5 year period from 2018 to 2023. 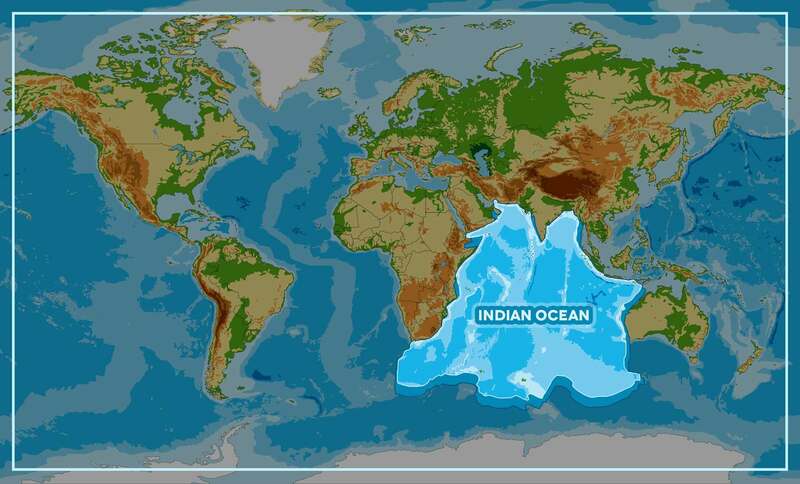 The Indian Ocean is a vital part of the economies, livelihoods and cultural identities of the States which border or lie within its boundaries. Fisheries, offshore oil and gas, tourism and maritime industries are already making a significant contribution to the economies of the Indian Ocean states. New opportunities are appearing in these established sectors and new emerging sectors which will require a cooperative approach to capture and exploit in a sustainable manner. The ocean does not recognise geopolitical boundaries and many of its ecosystems and much of its biodiversity are transboundary which can give rise to competitive exploitation. • collaboration between governments and industry, drawing upon the skills and capital of both of these sectors. GLOBAL WASTE PROBLEM - The above views of planet earth as global views show us the Indian Ocean gyres and estimates of plastic waste in (thousands) numbers of pieces of plastic waste per square kilometer of sea. The Pacific Ocean gyres are held to be the worst at the moment. According to their website, the Blue Economy was recognised as a priority focus area at the 14th IORA Ministerial Meeting in Perth, Australia, on 9 October 2014. 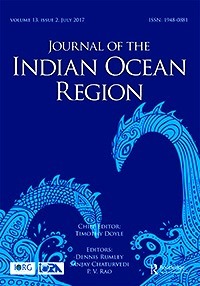 The Blue Economy captured the attention of all IORA Member States due to its growing global interest and potential and for being recognised as the top priority for generating employment, food security, poverty alleviation and ensuring sustainability in business and economic models in the Indian Ocean. Considering its wide range of valuable resources, the Blue Economy is gaining increasing interest in IORA Member States that are all committed to the establishment of a common vision that would make this sector a driver for balanced economic development in the Indian Ocean Rim region. Since 2014, several capacity building programmes have been carried out covering a wide range of areas, includinginter alia: fisheries and aquaculture; seafood processing, handing and storage; seafood quality and safety; seaport and shipping; maritime connectivity; and ocean forecasting. The First IORA Ministerial Blue Economy Conference (BEC) was held in Mauritius on 3 September 2015 where the Blue Economy Declaration was adopted. Reflecting on the global trends, this Declaration seeks to harness oceans and maritime resources to drive economic growth, job creation and innovation, while safeguarding sustainability and environmental protection. With the new challenges that the Blue Economy sector is facing, IORA is striving to promote this important sector as a driver for sustainable development; research and development; investment, technology transfer, with capacity building being crucial in exploring the full potential of the oceans for the socio-economic benefit of the region. OCEAN AWARENESS CAMPAIGN - As part of the Cleaner Ocean Foundation's ocean literacy campaign, we are developing a game that can be played on mobile devices like the iphone or android smart phones. In this game children learn a little about geography as they select one of five ocean areas to rid of marine litter. The screen above shows that the player has selected the Indian Ocean to tackle. Copyright Maps © January 29 2018 all rights reserved COF Ltd. Copyright Maps © January 29 2018 all rights reserved COF Ltd. This website is provided on a free basis as a public information service. copyright © Cleaner Oceans Foundation Ltd (COFL) (Company No: 4674774) August 2017. Solar Studios, BN271RF, United Kingdom. COFL is a charity without share capital. The names Amphimax™ and SeaVax™ are trademarks.